TAP Portugal operates about 2,000 flights each week and has a route network covering 80 destinations in 36 countries worldwide. TAP has won a number of awards, including World’s Leading Airline to Africa and World’s Leading Airline to South America (World Travel Awards), Best Airline (Condé Nast Traveler), and Best European Airline (Global Traveler). Emirates Skywards members can earn miles with the national airline of Portugal, which offers convenient schedules and easy connections. Skywards Miles can also be used to pay for travel across Europe, the Americas, and Africa. 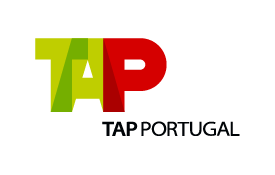 Take AdvantageTake advantage of offers from TAP PortugalOpens an external website in a new tab. Skywards Miles are not earned for fares in TAP subclasses X, I, O, E, T, A, R, or N.
Please give your Emirates Skywards Membership number when making your reservation. If you have not given your membership number before your flight, you may request credit after your flight by sending the flight details to Emirates Skywards using the claim Miles form. Mileage accruals are not available for Group Inclusive Tour (GIT)/Inclusive Individual Fare (IIT) tickets, redemption awards, or free ticket promotions. Reward tickets are not valid on codeshare flights operated by any carrier other than TAP or TAP's airline affiliates.